Who doesn’t like french toast? 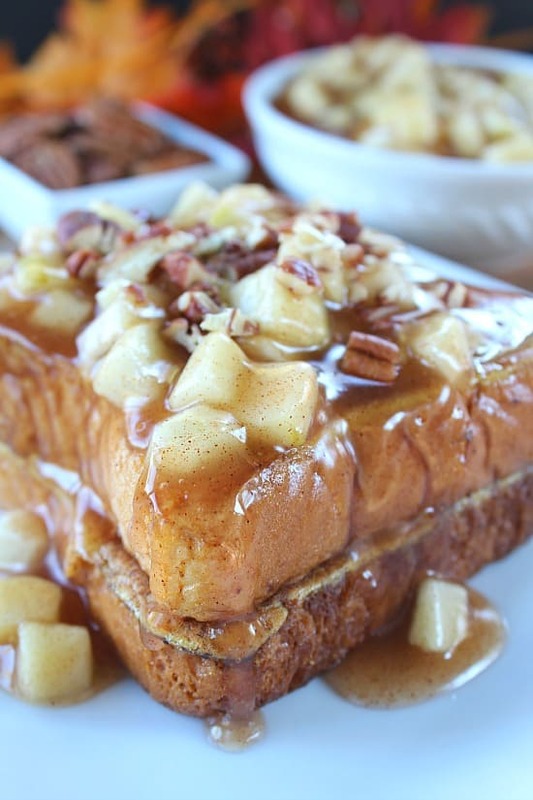 There are many ways to make your breakfast special, and this apple pecan french toast will definitely have your family asking for more. The combination of apples and pecans are amazing. 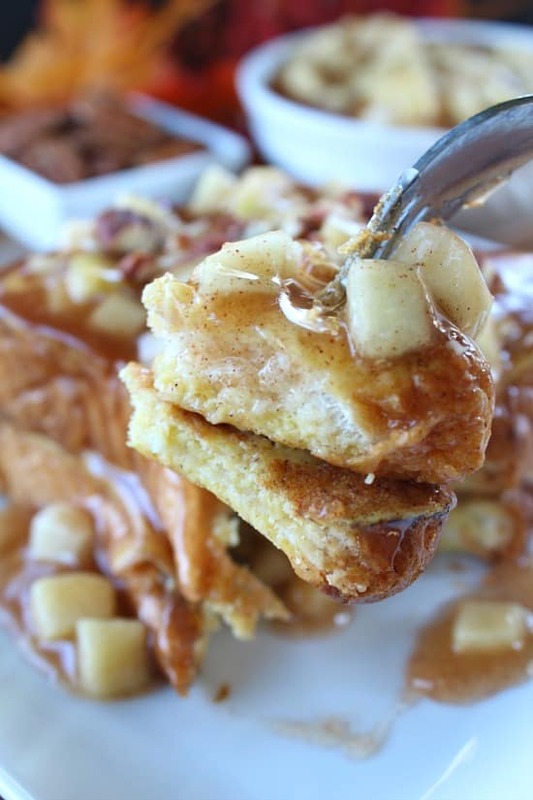 My daughter, Halie, made this french toast recipe, and we just added the apple cinnamon filling to create a delicious breakfast treat. She’s a great young cook and really enjoys being in the kitchen, except when it’s time to clean it. LOL! The apple cinnamon filling that is used in this recipe is super easy to make and this apple pecan french toast can be whipped up in no time. 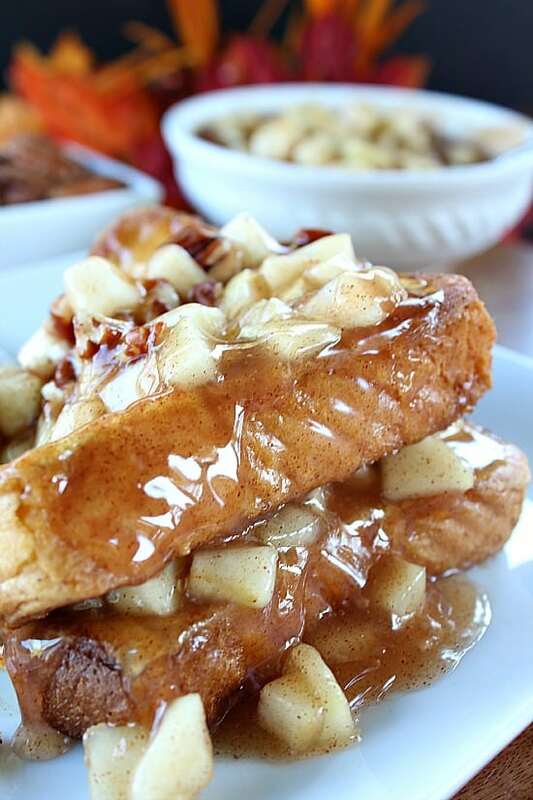 There is just something about having a nice, thick piece of french toast! Oh so good! You won’t even need to add syrup but you can add a little sprinkling of powdered sugar if you’d like. You probably have noticed that I make a lot of recipes that include both apples and pecans. The two just go hand in hand with each other and make any recipe taste delicious, plus this is my favorite time of year for baking. 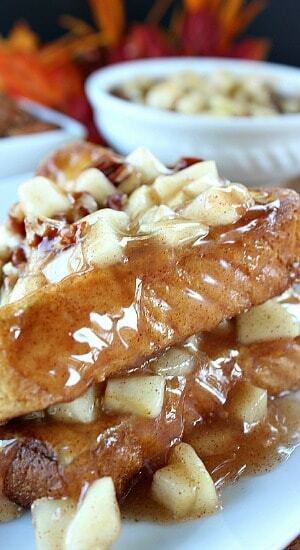 The apples and pecans added to this french toast gives this delicious breakfast meal a fabulous twist. Fall recipes and holiday desserts are the absolute best in my eyes. Are you ready to treat yourself, and your family, to a delicious tasting breakfast which is full of apples, cinnamon and pecans? I hope you enjoy this recipe as much as we have! 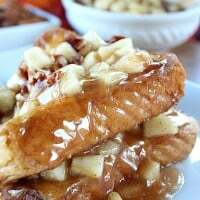 Here are a few more delicious breakfast recipes that can be found on the blog: Cheesy Sausage Hash Brown Casserole, Apple Walnut Crepes, Homemade Apple Pecan Cinnamon Rolls, Fried Egg Grilled Cheese Sandwich, plus many, many more. In a medium mixing bowl, whisk eggs, milk, vanilla and cinnamon together. In a large skillet, spray with non-stick spray or melt butter over medium/low heat. Dip one piece of bread at a time into the egg mixture and then add it to the skillet. Cook french toast until it is cooked on both sides. 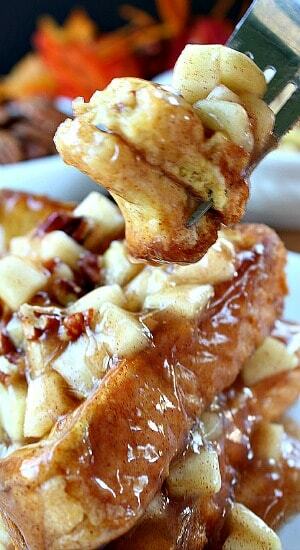 Add a heaping spoonful of apple cinnamon filling on each piece of french toast. Top with pecans and sprinkle a small amount of powdered sugar over the top and enjoy!